We constantly review and audit our working practices to provide improved services to our customers. We see this improvement process as a primary driver of our business. The danger of working in a fast paced industry is the very real prospect of being left behind. Thankfully, PC Howard has a policy of continual improvement by constantly reviewing and refining operating procedures to improve our services. 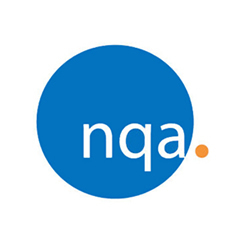 Whilst not holding a membership as such, we have a close working relationship with the NQA who are an independent testing, inspection and certification house. By working with NQA, we are being consulted to by a company who play a critical role in our company improvement program. Having a third party organisation review our working practices is the best way to improve the efficiency of our business. By continually evaluating and auditing our working practices we are able to promote best in class services to our customers who are the main beneficiary. We work in a highly competitive market, and we see this monetary and time investment as an excellent return on investment. Like the NQA we have an ongoing policy and ethos of ‘never stop improving’. The changes we adopt can relate to all aspects of our business, from a paperwork, IT systems and health and safety to environmental practices.